First I want to shout out about some exciting news for other Middle Grade Monday bloggers who are also followers. Michael Gettel-Gilmartin has an AGENT! Isn't that awesome? Go congratulate him on his blog here. I also want to mention that Jennifer Rumberger who just started blogging this Fall, is six followers short of reaching her 50 follower goal for January. She has a great blog and is a dedicated Middle Grade Monday blogger so I hope you'll go check out her blog and follow her here. 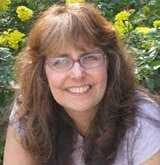 Today I’m excited to interview Caroline Starr Rose whose debut book MAY B. was released on January 10, 2012. Caroline had told me it was a fast read and she wasn’t kidding. I read it in two days and would have finished it in one if I hadn’t started it sooner that night. This was my second book in verse and I found it very easy, enjoyable read. I no longer have any reservations about trying another one. May was such a sympathetic character. And Caroline did an amazing job keeping the plot really moving along. Hi Caroline. Thanks so much for joining us. 1. From your biography it sounds like you’ve lived in some interesting places. Tell us a little about yourself, where you’ve lived, and how you became a writer. I was born in Wisconsin and moved to Saudi Arabia when I was three (my dad was a civil engineer and helped to build an army base there). From Saudi we came back to the US, this time to New Mexico. I remember my mother telling me New Mexico was a desert, but after three years in Saudi, I found this hard to believe; everything in New Mexico seemed green in comparison. I really was an outsider when I entered first grade here in the US. I didn’t really know American culture or slang. My mom spent time quizzing me on American money. I saw a deer crossing sign and thought it was a picture of a goat! When I was fifteen, I spent a year in Australia as an exchange student. It was a wonderful experience, and I am still very close to my host family. Now that I have children of my own, I am even more impressed by my parents’ trust in me at such an early age. Though I’m no longer in the classroom, I taught middle school / upper elementary English and social studies for a number of years in New Mexico, Florida, Virginia, and Louisiana. 2. You’ve lived in so many places. I’m sure that gives you a lot to draw on as a writer. I read that MAY B. did not start out as a novel in verse. What made you decide to change to this and why do you think your story lends itself to being written in verse? My first few attempts at writing the story as prose felt distant and lifeless. It wasn’t until I returned to my research (and specifically a book called Read this Only to Yourself: The Private Writings of Midwestern Women, 1880-1910) that I saw the patterns these women’s writings had in common: terse language, stark circumstances, a matter-of-fact tone. It was if the heavens had opened for me, and I was able to climb inside May’s world, using the voices of the women I’d encountered through research. A confession: I’d read only two verse novels before writing May B. 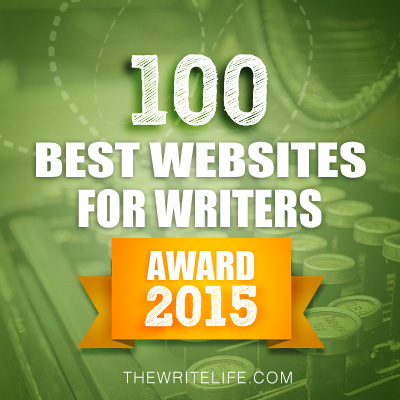 -- Karen Hess’s Out of the Dust and Sharon Creech’s Heartbeat. This both terrified and liberated me. I stayed away from all verse novels while drafting, worried any sort of comparison would paralyze me. On the other hand, I wasn’t bound by patterns or rules. Several readers have said May B.’s pacing reads more like prose (swifter than the typical verse novel), which ultimately serves the story. 3. That’s awesome how you used the writing of your time period to decide to write MAY B. in verse. And I agree with your readers that the pacing is perfect. Your book is set in 1870s Kansas. What research did do you do to keep everything historically accurate? Why did you pick that era and Kansas? I read. A lot. At first, all I knew was I wanted to write about the frontier but hadn’t honed in on Kansas specifically. My first attempt at writing had been historical fiction, and I learned from that disastrous manuscript that regardless of the history, the story had to belong to the character; I couldn’t beat historical facts into my readers’ heads. I went into May B. trusting that if I kept my protagonist’s perspective and understanding of her world, enough history would organically seep in. One special challenge was locating exactly where May’s sod house stood. There’s a reference in May B. to Tom Sawyer, so the book had to take place in 1876 or later. I wanted her in a part of western Kansas that wasn’t very developed and was semi-close to a railroad. It was also necessary to have wolves around. The first place I located May was outside of Dodge City, where she would have been smack dab in the middle of the Chisolm Cattle Trail -- not exactly the solitude I was looking for (I also wasn’t interested in telling the sort of rowdy cowboy story that Dodge City brings to mind). The story couldn’t take place much beyond 1880 because in order to have wolves, buffalo still needed to be prevalent; by 1880 these animals were widely wiped out. Gove County, Kansas became a good location: the railroad (and therefore surrounding communities) was still relatively new but old enough to have been there before 1880; the short-grass country of western Kansas supported sod houses; and wolves, while not spotted everyday, would have still roamed in packs at this time. 4. Wow! You put a lot of thought into the setting and the time period for your story. As a 12-year old left alone in the winter, May had to possess certain qualities to survive. How did her situation influence how you developed her as a character? Great question! May is a strong, courageous girl. Unfortunately, she doesn’t know this about herself. Because she has a learning disability, she has been told -- directly and indirectly -- that her abilities (and, ultimately, her worth) aren’t good enough. I really wanted May’s difficult circumstances to expose her strength, not just to the reader, but to May herself. 5. Her learning disability was one of her most endearing qualities. I loved how you brought this out. 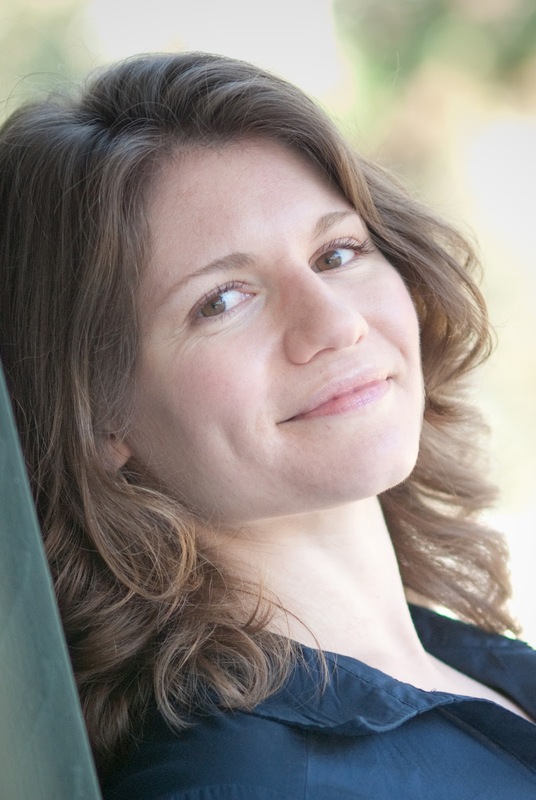 Tell us a little bit about how Michelle Humphrey became your agent and share some tips on the query process. 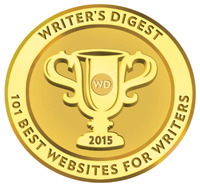 I found Michelle on the Guide to Literary Agent’s blog and really loved her upbeat attitude. I’m not sure I have wonderful query advice (no special formulas, or anything) other than to keep things concise and personalize, if at all possible. 6. I know after you found a publisher that your road to publication was not without bumps. Can you share your experiences and how you found was the best way to handle them? May B. was supposed to release September 2011 with Random House Children’s Books imprint, Tricycle Press. Just weeks before my ARCs were to print, Tricycle closed. For roughly six weeks, my book was without a home. Fortunately, another Random House imprint, Schwartz and Wade, picked May up. I started the revision process again from scratch. Really and truly, my book is better for the insight and careful work of my two editors. As hard as it was at the time, what happened to my book was a good thing. Each month I have lunch with a group of local children’s authors. I’m by far the greenest in the group. It has been so good for me to hear their stories and keep my own experience in perspective. 7. I was so impressed with how upbeat you stayed during those six difficult weeks. I’m so glad it worked out for you. What are you doing to market your book? Are there any special tools you’re using because of the historical aspects of your story and/or the setting? I’ve sent somewhere between 1200 and 1400 handwritten postcards to plains state museums, dyslexia schools, Kansas and New Mexico libraries, and Kansas and Albuquerque elementary and middle schools. I’m not sure how much impact these will have (most likely very little), but I’ve had increased hits on my website and at least half a dozen people contact me directly about the book. Maybe not a lot, but I’ll take it! Believe it or not, I’ve really enjoyed doing this. I’ve also written a study guide (available at my website). 8. 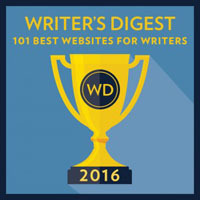 Those are great examples of how to tap into the unique aspects of your story to market it. Do you have any tips on marketing and networking with other authors for us aspiring middle grade authors? I strongly recommend getting involved in some sort of community where writers are at the same stage you are. For me, it was the Class of 2k11 and the Elevensies initially. Now I’m a part of the Class of 2k12 and the Apocalypsies. Beyond the promotional aspects, I’d say the most important thing these groups have given me is support. 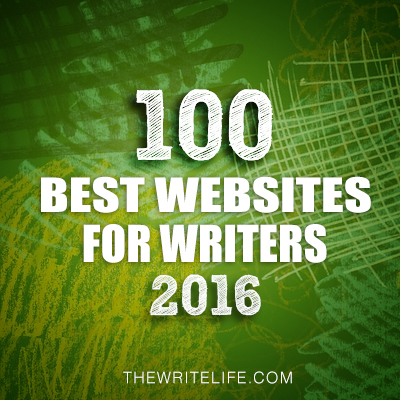 I’ve made bonds with dozens of authors just starting their careers. We understand the unique process publication is and can voice questions, frustrations, and good news in a safe, closed environment. I’m not sure how others do it alone. 9. Yes, I definitely would not want to be out there all alone as a debut author. All the marketing and networking would feel too overwhelming. What are you working on now? A picture book about the Louisiana Wetlands, a contemporary mid-grade about a girls’ club, and another historical verse novel. Thanks Caroline for sharing all your advice. I’m so excited to be a part of your debut. You can find Caroline at her blog and website. 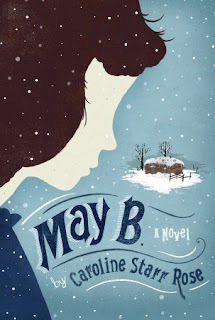 Caroline and her publisher have generously offered to giveaway an ARC of MAY B. to one lucky winner. All you need to do is be a follower (just click the follow button if you’re not a follower) and leave a comment by midnight on January 28th. I’ll announce the winner on January 30th. If your e-mail is not on Blogger, please list it in your comment. International entries are welcome. Here’s what’s coming up the next few weeks. Wednesday we’re having our 2000 FOLLOWER GIVEAWAY. It’s going to be awesome! I really hope you’ll all come back for this. Next Monday I’ll be interviewing a panel of 7th graders whose teacher had a fabulous blog and who follows here. I can’t wait to hear their answers. The following week I’ll be doing a regular blog post. I’m going to try to do a few more of those this year. Hope to see you on Wednesday! It'll be awesome! Thanks so much Caroline for joining us. I'm so excited to be a part of your debut. Congrats to Caroline - what a journey! I think May B is a good choice for my daughter. She loved Sharon Creech's novels in verse. Great interview, as always, Natalie! I loved learning more about Caroline and the book itself. Interesting that she didn't start out writing it in verse. You know I already own this book, so please give it to someone else. What I love most about MAY B., besides the gorgeous writing, is the fact that May feels like a real person. Yep. Already congratulated Michael on landing an agent. And I already follow Jennifer. When I began blogging, Caroline is one of the first ladies I interviewed and got to know. She is such a nice person. Her journey is amazing. I'd so love to share a copy of May B.!! Sounds like a fascinating book; love how the writing of the time inspired her decision to use the verse format! Natalie - Great interview. I love reading all the background of Caroline's process and how she researched May B. I just won a copy of the book from another website (Yeah!! ), so you don't need to enter me in your giveaway. Thank you for hosting me, today! That should be "homing in," not honing. Oy. Wonderful interview, Natalie. Caroline is a fellow Project Mayhemmer, and I've loved May B. the minute I heard of her. My son attends a small high school for kids with learnbing differences--and this sounds like a book that would be great for all those students struggling with dyslexia. Thanks so much for your congrats on my getting an agent. You guys's blog was invaluable during my search. I would read through the entries several times on each particular agent I queried--as Caroline says in the interview, personalization is important! May B sounds wonderful. I was especially intrigued by Caroline's research and how she decided to make it a book of verse. I always am fascinated about how an idea or story finds it's own unique voice. *I'm always fascinated... I type faster than I think. What an exciting childhood! You really did live all over. Thanks for featuring Caroline, Natalie! I can't wait to read this one. It's been on my radar for since fall and I've been waiting for it to be released. Get thyself to a bookstore, Barbara! 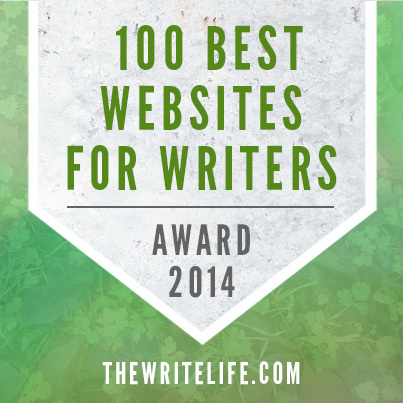 SO much great news in the blogosphere, and an excellent interview with Caroline. Her story is very inspiring, and great advice too about teaming up with other writers at the same stage. I wish her the very best of luck with her novel! I saw Micheal's great news last week (or was it this morning???). I've heard a lot of great things about Caroline's book. Thanks for the great interview! Such a great interview! Thanks ladies! Interviewing a panel of seventh graders sounds like loads of fun, and I'm sure they'll have some interesting answers! Thanks for sharing and congrats to Michael. I would love to read MAY B thank you. I have heard great things. I've started to see this book around the blogsphere and sounds very interesting and intriguing. Again, a very nice interview! Great interview! I love the title and all the historical information that is woven into this book. Please enter me in the drawing for an ARC. This book sounds terrific! Thanks for sharing the interview. My heart broke when I read about her publisher closing 6 weeks before publication, but it truly had a happy ending. My copy of "May B" should arrive in the mail TODAY. I can't wait to read it. Got the book today and read it today. Loved it. I highly recommend it. Great interview! I'm really looking forward to reading this. Thanks for hosting the giveaway! Great interview and terrific book. I've read it, but now I want to own it and share it with my granddaughter. Thanks for this post. Great interview. I'm really intrigued and look forward to reading MAY B. And thanks for doing the giveaway (I tweeted this!). Thanks for posting this interview. MAYB is on my "to read" list. Loved the interview!Sounds like an awesome book. Thank for the giveaway! Sounds like a great book and I'd love to read it. Thanks Caroline and Natalie. I love Caroline! What a classy lady. And I would LOVE to win her book. I've heard such great things about it. Thanks for the chance. I love MG historical fiction. This sounds like a wonderful book, I would love to win the ARC. Thanks for the interview and the give a way. I tweeted about the give a way. I'm intrigued. I can't wait to read MAY B.